The Ocean Adventures series starts next Wednesday on PBS with an examination of beluga whales and follows up with a look at killer whales. When Jean-Michel Cousteau set out on his latest mission to record and reflect on the state of the world’s oceans, he knew the situation was dire for sea-dwelling creatures, especially for species atop the food chain such as beluga and killer whales. But never could the underwater explorer-son, you may know, to the legendary Jacques-or his team from Santa Barbara’s Ocean Futures Society have predicted just how immediate these same toxic threats are to the human species. Turning the lens on themselves, Cousteau’s team learned that they too are harboring dangerous levels of toxic chemicals in their own supposedly healthy bodies, particularly the substances used to fireproof our furniture, carpets, and clothing. That revelation prompted Ocean Futures to launch a statewide campaign this week to raise awareness about the danger of flame retardants and eventually eliminate these toxins from the everyday environment. Of course, as with any of Cousteau’s cinematic undertakings, the path to discovering this bad news was lined with viewer-friendly goodness, such as surreal Arctic landscapes, rainbow-colored submarine settings, and plenty of informative, interesting characters from all sides of every issue. 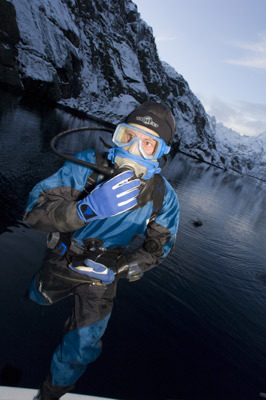 Though the focus remains steadily on sea life, the programs also feature ample footage of above-surface wildlife, engaging discussions of heritage and history, journalistic interviews of industry reps and activist scientists, and some genuine on-screen drama from inside the ongoing fight to save the whales. The first episode in this next round of the Jean-Michel Cousteau: Ocean Adventures series-which airs in hi-def on PBS channels across the country next Wednesday, April 8, at 8 p.m.-is Sea Ghosts, an hour-long examination of the ethereal beluga whale, narrated by Anne Heche. Technically a member of the narwhal family, the curiously pale belugas are known as the “canaries of the sea” for speaking to each other via a continual cacophony of squeaky sonar. But as the film shows in traveling throughout Canada’s St. Lawrence River region and Alaska’s Cook Inlet, the species is quickly becoming the canaries in the coal mine of our environment. Even with protections from hunting-which nearly decimated the species in the 20th century-and being listed as an endangered species in the Cook Inlet, the populations are not rebounding as they should. In fact, the belugas are developing cancer and bacterial infections at alarming rates, both unlikely maladies for free-roaming beings and a reality most scientists chalk up to the toxins spilling into the marine environment from pollution on land. But it’s not all doom and gloom. 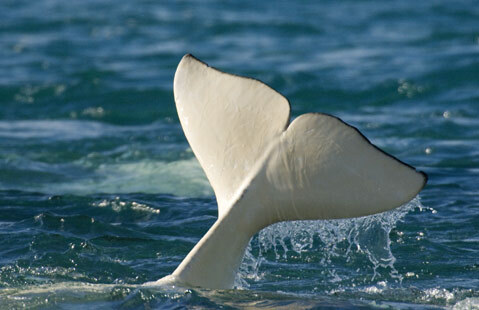 The episode reveals the still active hunts conducted by remote native villagers, who preserve and eat the whale flesh all year long and cling to the annual outing as the enduring remnant of their culture. 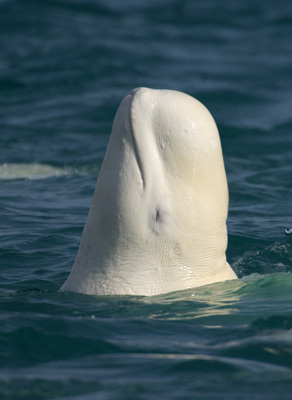 We learn about the different beluga societies, from those that stick with their pods to those that gather in masses to eat and shed their skins along the banks of icy rivers. And, in between beluga cameos, the divers take us on a magical mystery tour beneath floating icebergs, where an odd ecosystem clings to life on the fringes of a warming planet. 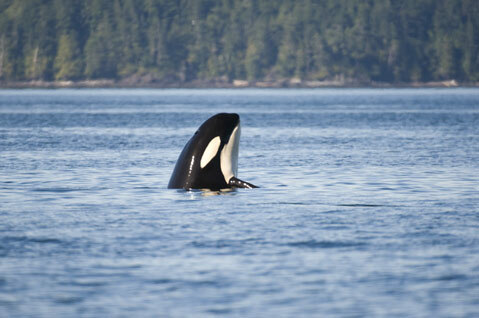 The second episode-a two-hour program that premieres on PBS on Earth Day, Wednesday, April 22, at 8 p.m.-is Call of the Killer Whale, a probing look at the most widely distributed and most socially complex marine mammal in the world. 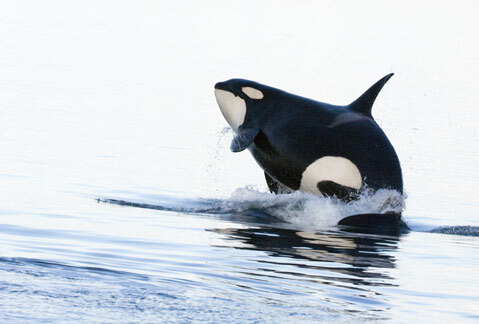 While males can grow to nine tons, 32-feet long, and sport a six-foot-tall dorsal fin, experts are learning that it’s really the curved-dorsal-finned females who run the orca show, and even the biggest, baddest black-and-white beefcakes are just momma’s boys at heart. Touching upon the most cutting edge orca research in existence during stops in British Columbia, New Zealand, Norway, California, and elsewhere, the program shows how there are three types of killer whale-the resident, the transient, and the offshore-and reveals the species’ complicated methods of teaching, talking, hunting, sharing, and socializing that are indicative of true culture. Getting to know these intelligent beasts only makes hearing about the daunting challenges they face all the more distressing, from the fight against captivity to the troubles of salmon farming. But, like the belugas, it’s the chemical contamination of killer whales that’s most troubling and telling for our own species. After learning that the orcas are plagued with high levels of PCBs (chemicals used extensively as lubricants, sealants, coolants, and more before being banned in the 1970s) as well as PBDEs (currently used as flame retardants everywhere), Cousteau’s team decided it was time to get themselves checked out. So Cousteau, photographer Carrie Vonderhaar, assistant producer Holly Lohuis, and her four-year-old son Gavin get tested, only to be shocked to find out that Holly and Gavin-both organic food-eating vegetarians-boast off-the-chart levels of PBDEs. The discovery, which brings Lohuis to tears, is what triggered Ocean Futures’ new campaign to raise awareness and ban use of these flame retardants. 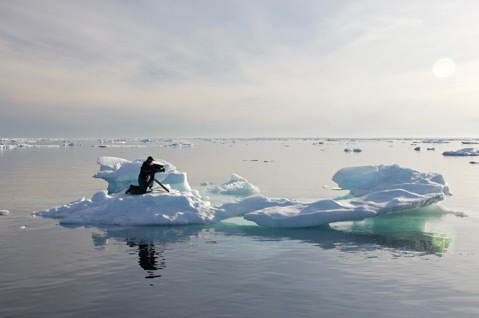 Sea Ghosts airs on PBS on Wednesday, April 8, at 8 p.m., and Call of the Killer Whale premieres on PBS this Earth Day, Wednesday, April 22, at 8 p.m. Call of the Killer Whale will be shown for free on Saturday, April 25, at 2 p.m., at Santa Barbara City College. See oceanfutures.org.